Trick or treat! 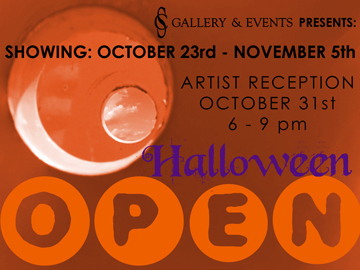 The reception for our October open falls right on Halloween. Olde Towne East Parsons Carnival will be happening at the same time as our show. Businesses on Parsons will have games and prizes. Come play Pin The Parts On The Zombie and check out some amazing artwork.